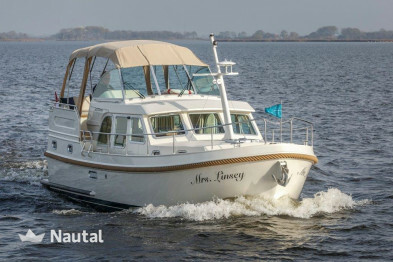 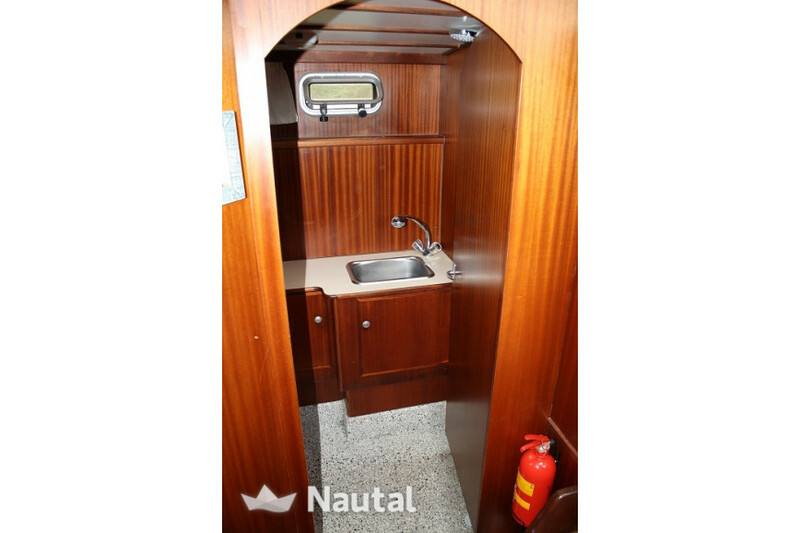 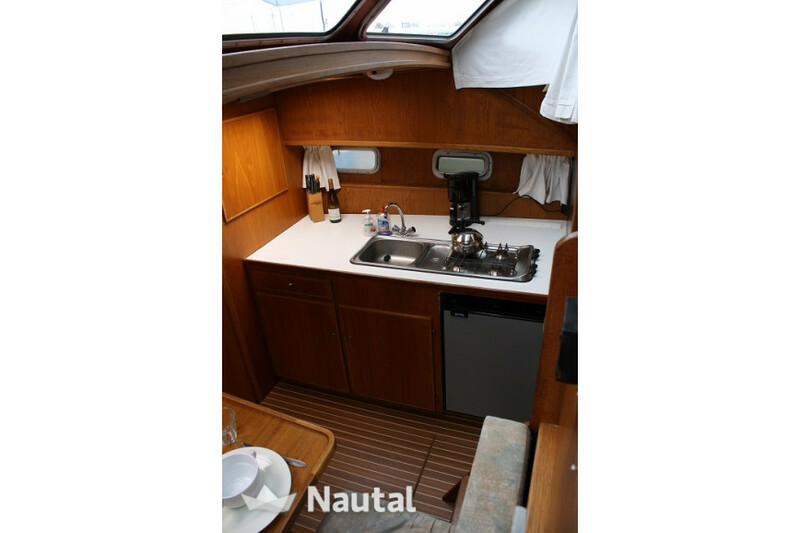 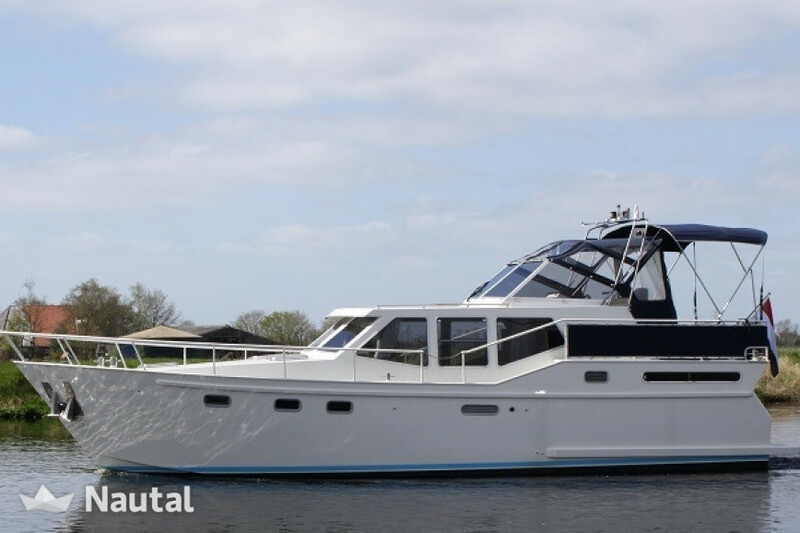 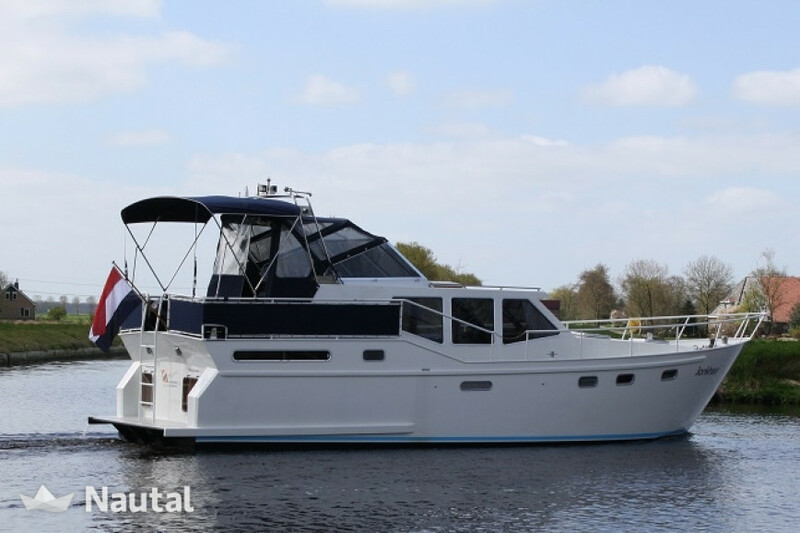 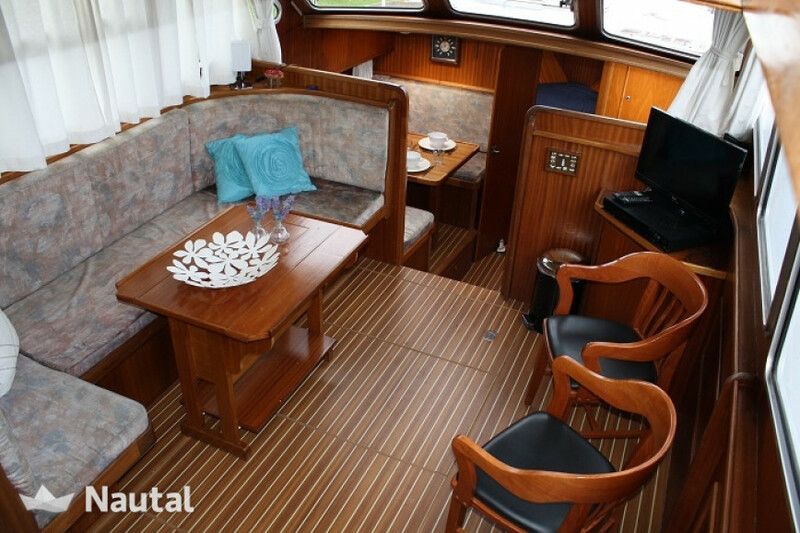 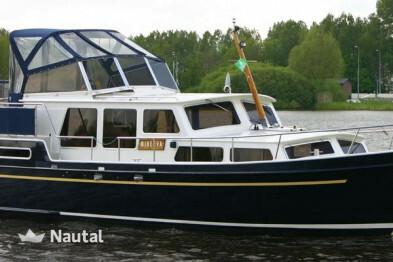 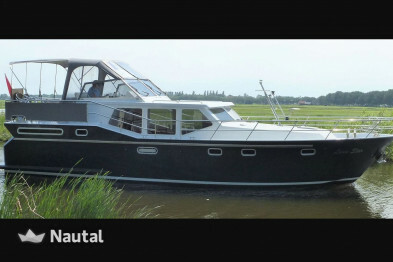 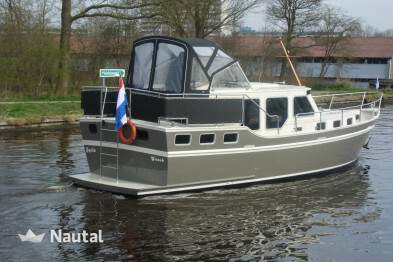 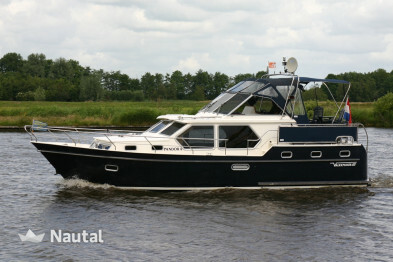 It is a family ship with a light spacious interior. 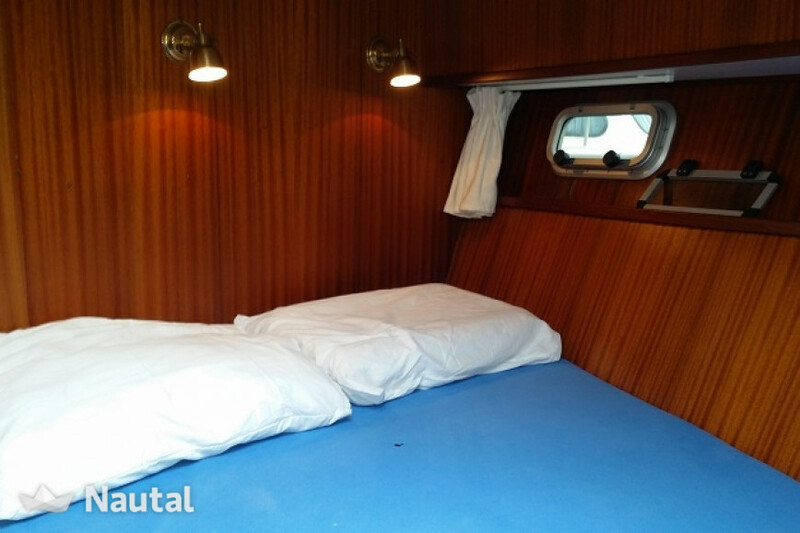 The boat has lots of windows, so there is plenty of light. 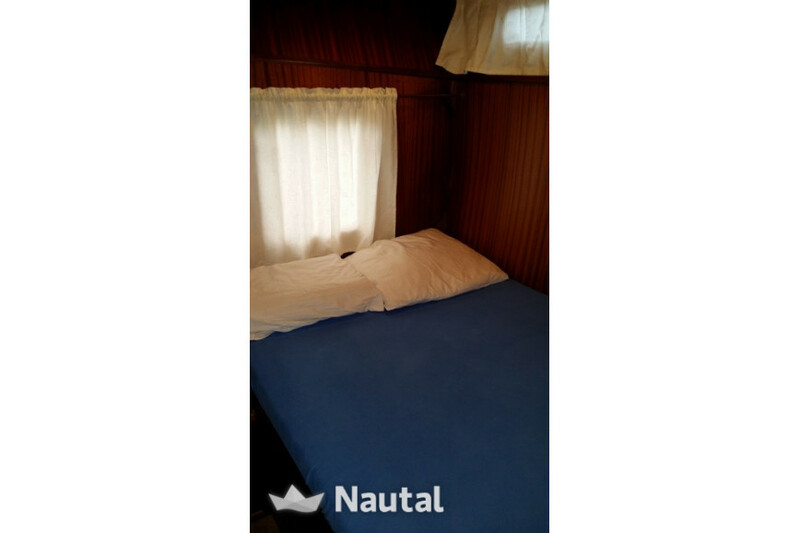 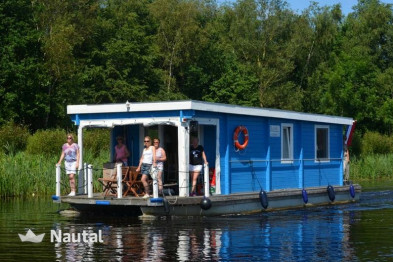 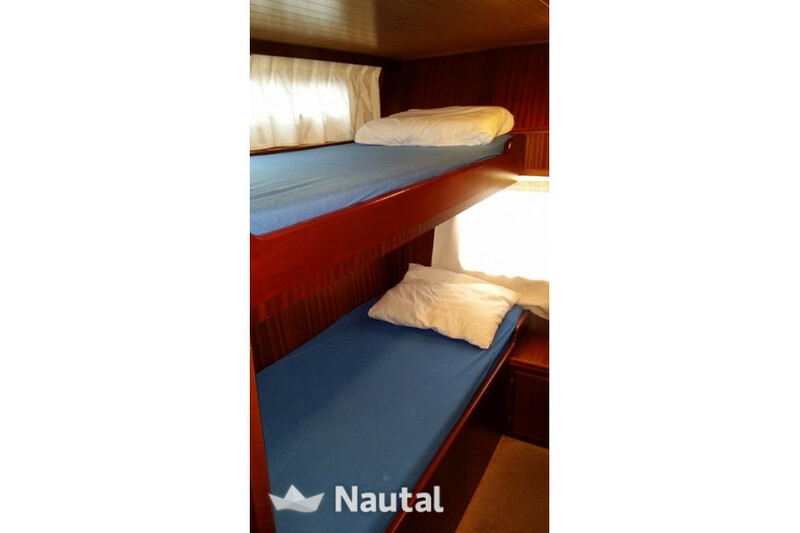 There are three cabins, 2 with a double bed and 1 cabin with bunk beds. 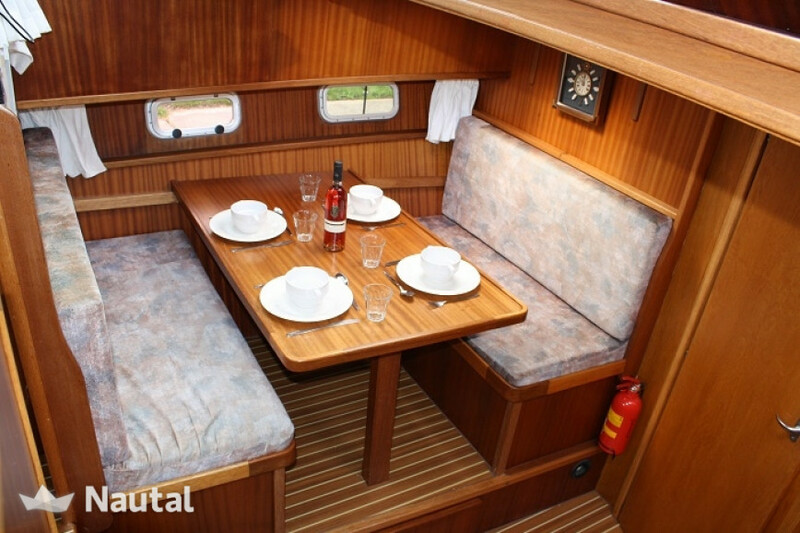 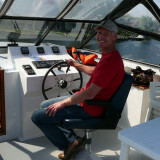 In total there are 6 berths. 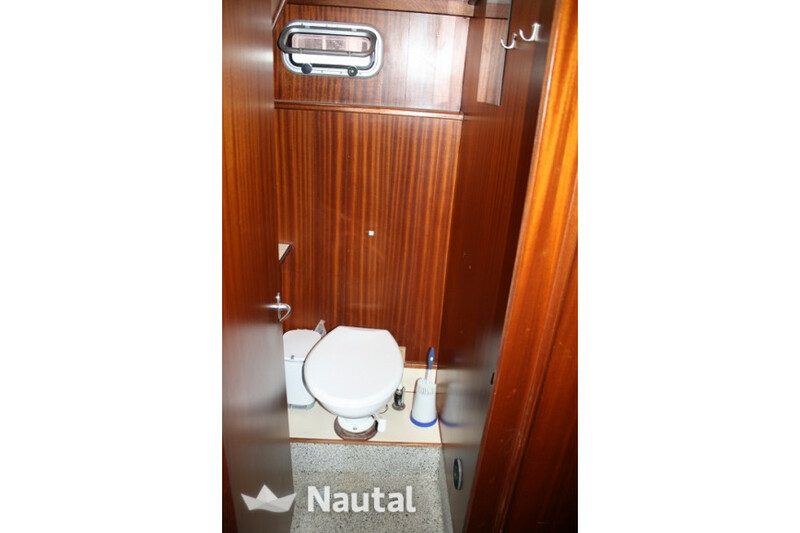 The toilet and shower are in different cabins.